Please pass this information on to those you think that would like the opportunity to volunteer for the Scholastic Warehouse sale! We are in need of many, many, more volunteers this sale!!!! *Gift certificates are redeemable towards the purchase of books and other warehouse products at the discounted price during this sale event only. (Example: Work 8 hours, get $80.00 worth of books at the discounted price). Weekdays (May 18th- May 29th): 10 a.m.-7 p.m.
Saturdays (May 16th & 30th): 9 a.m.-3 p.m. Please e-mail me the dates and times that you would like to work. Remember! There is a 4 hour minimum, but you can work as long as you like. If you are a teacher wanting to volunteer on the weekday evenings you may schedule less than 4 hours. The pre-sale and post-sale dates are limited so e-mail back quickly if you are interested. We look forward to hearing from you soon. If you have any questions, please do not hesitate to ask! If you know of others that are interested in volunteering please let me know so I can pass this information on to them! 1. Closed toe shoes are required in the warehouse area. 2. Dress for the current temperature the warehouse is minimally heated/cooled. Layer. 3. There is a snack room with vending machines for drinks and snacks. You may use the refrigerator and/or microwave. Please remember to clean-up and take items home at the end of your shift. 4. Only closed drink containers may be in the warehouse area. 5. 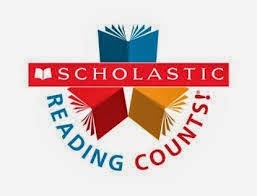 Remember to be courteous and helpful - you represent Scholastic to the shoppers. 6. Please do not read, shop, or be on the phone while you are working. 7. You may take a 15 minute break for every four (4) hours you work. 8. It is your responsibility to fill out a waiver (once per sale), sign in and out, and obtain your voucher at the end of your shift. 9. If lost, vouchers will not be reissued. They must be used during the current sale. If you have any questions, please don't hesitate to ask. Thanks again for volunteering your time.